James Boswell in his Life of Samuel Johnson quoted Dr. Johnson as saying, "Depend upon it, sir, when a man knows he is to be hanged in a fortnight, it concentrates his mind wonderfully." Indeed, it does. 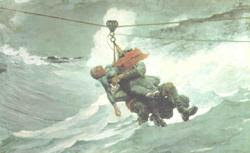 After my troopship foundered and split in half at the base of sheer cliffs on the Alaskan coast, I waited for rescue on a disintegrating hulk for a couple of hours, knowing that I wouldn’t last in the frigid water more than five minutes. My mind was concentrated wonderfully. Happily, I was finally taken off by breeches buoy. The recollection of that experience always brings me back to essentials, fresh air, clear water, and the sun’s warmth, the things that make Flagstaff so desirable. Of course, this is about gardening, that marvelous and mysterious fusion of seed, soil, water, and sun. The prospect of running out of fresh water is akin to the prospect of running out of either air or sun. 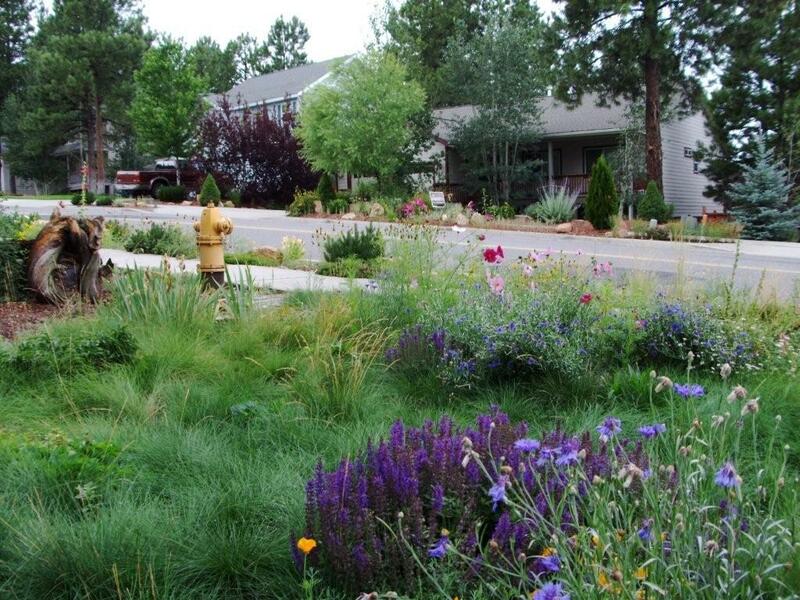 In this case, the issue is grass, one of the loveliest aspects of a garden, and one of the most problematic in Flagstaff. 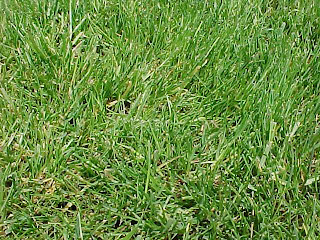 The problem is Kentucky blue grass (Poa pratensis), the grass most people favor, consumes lots of water. Although some people seem to suffer from a prodigal son syndrome, everyone else knows that drinking water is precious. Not only is water scarce, it’s also becoming scarcer and more expensive. The city is hiking the water rates, especially for homeowners. 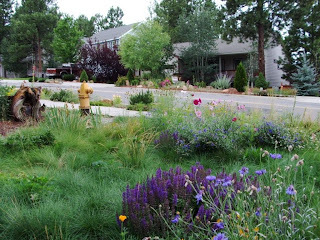 But the problem at hand is the front yards of Flagstaff. Some people favor gravel as a means of solving the water issue. The problem is that it’s ugly, especially when decorated with cattle skulls or rusted-out plows. Worse yet, it heats up the atmosphere, turning yards into a reflecting ovens. 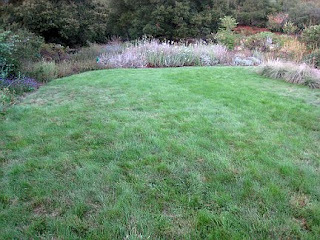 Lawns can be beautiful, cool-looking, neatly trimmed expanses of green. Sadly, they’re, also, ill-used and waste water. Unless, someone is into playing badminton, croquet, or lawn tennis in the front yard, Kentucky bluegrass lawns are wastes. When in doubt, go native because native works best. When the forest is left alone to do its own thing, it seems to do pretty well, like native grasses. During our dry spells, they need to be watered only once a week to be kept green, and this can be done by watering them with rain water saved in a barrel. They require mowing once a year with a weed whacker after their seeds stems have finally cast off their seeds. Three very attractive native grasses are Arizona fescue (Festuca arizonica), sheep grass (Festuca ovina), and creeping red fescue (Festuca rubra). All three can be planted from plugs or by seed. In any case, the ground should be prepared by turning compost into the soil a few inches deep as would be done with any grass. If sown by seed, anytime of the year is all right, save winter, but the best is during monsoon and the second best is early spring. Arizona fescue is a bunch grass, that is to say, it doesn’t form a smooth sod but grows in clumps which can be grown closely enough together to form a continuous green lawn. As such, it is not a turf grass which will bear lots of foot traffic, but generally front lawns are not heavily trod upon. It throws off a bluish haze. The sheep fescue is also a bunch glass that forms attractive mounds and swirls, much like a turbulent pond. It’s green. A very interesting variation of sheep fescue is blue fescue (festuca ovina var. glauca.) 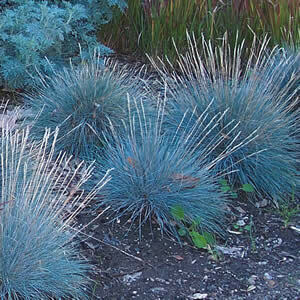 It is distinctly blue and is best planted in plugs. Its uses are in edging and plots and even randomly scattered. 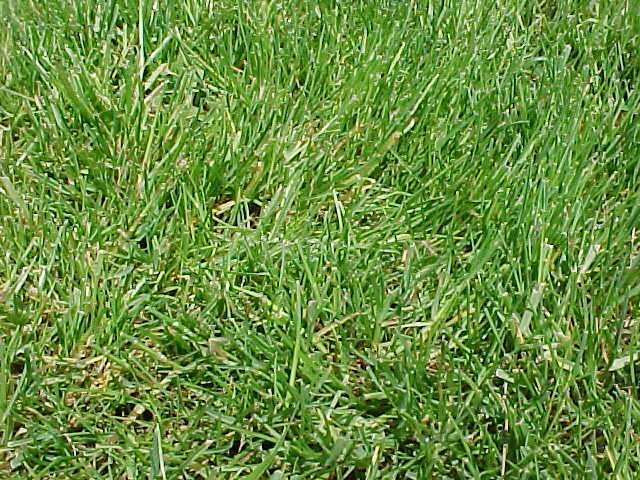 Creeping red fescue (Festuca rubra) is not a bunch grass, but a turf grass which spreads by seeds and rhizomes. It tolerates shade. If left to grow, it forms, as does the sheep fescue, whorls and cowlicks which are far more attractive that the usual military buzz cut from which front lawns suffer. There you have it: more interestingly beautiful lawns on less water, less work, and at less expense. Less is more, go frugal, do indigenous! Dana Prom Smith edits the column GARDENENING ETCETERA for the Arizona Daily Sun in which this article appeared 11/12/2011. He can be emailed at stauls@npgcable.com.